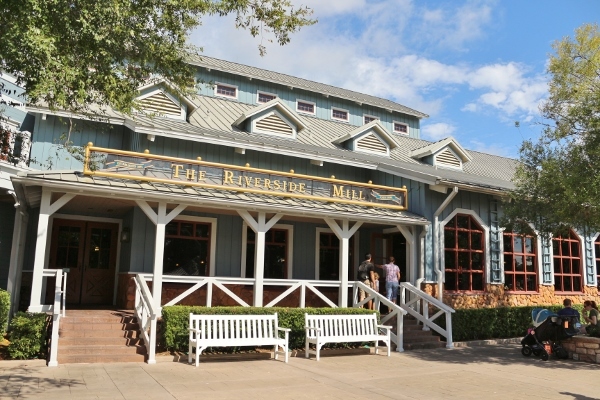 Last week, I shared a post exploring one of the most popular Moderate Resorts at Walt Disney World: Port Orleans Riverside. We took a look around the beautiful grounds as well as into the charming rooms in the Alligator Bayou section of the resort. 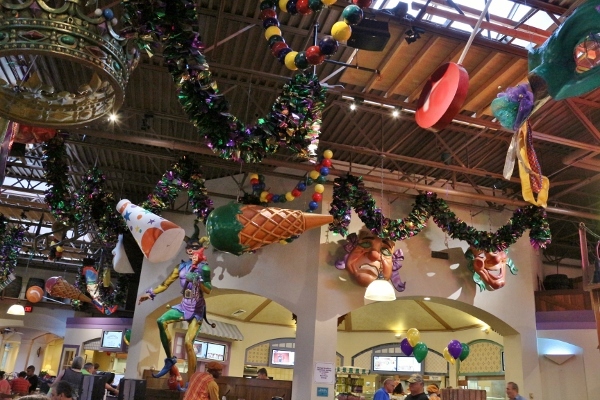 Today, I'd like to discuss the food at Port Orleans, both at Riverside and its next door neighbor Port Orleans French Quarter. 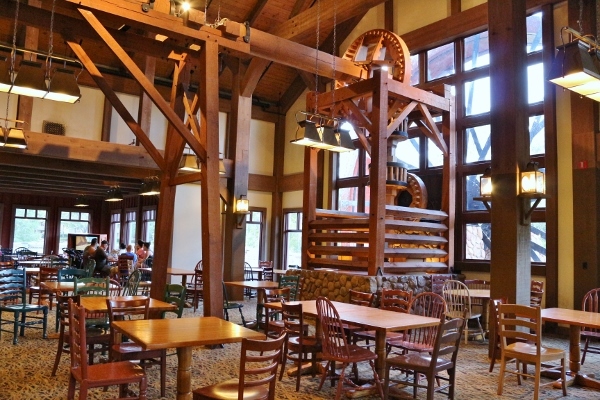 Let's begin with my favorite of the three Port Orleans dining options: Boatwright's Dining Hall. 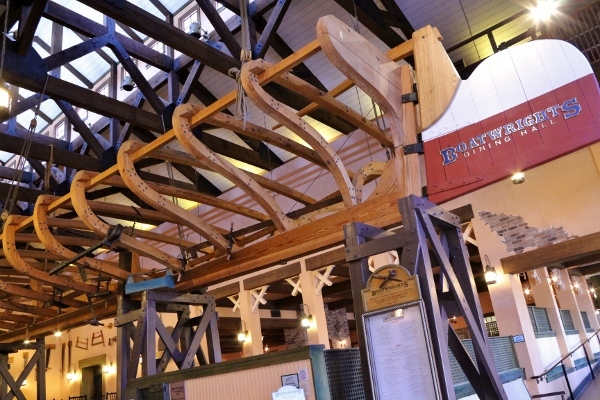 Located at Port Orleans Riverside (POR), this table service restaurant is themed like a Louisiana shipyard, and even has the hull of an unfinished boat on display hanging from the ceiling. 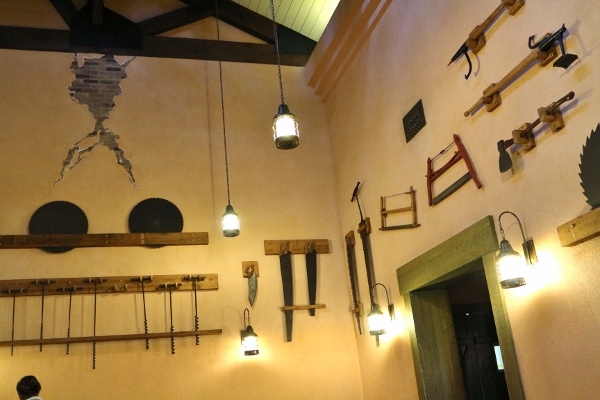 Boat-making tools are displayed prominently on the walls throughout the space. Although I love the theming of this restaurant, it's not my favorite part of dining here. The food definitely wins out here. 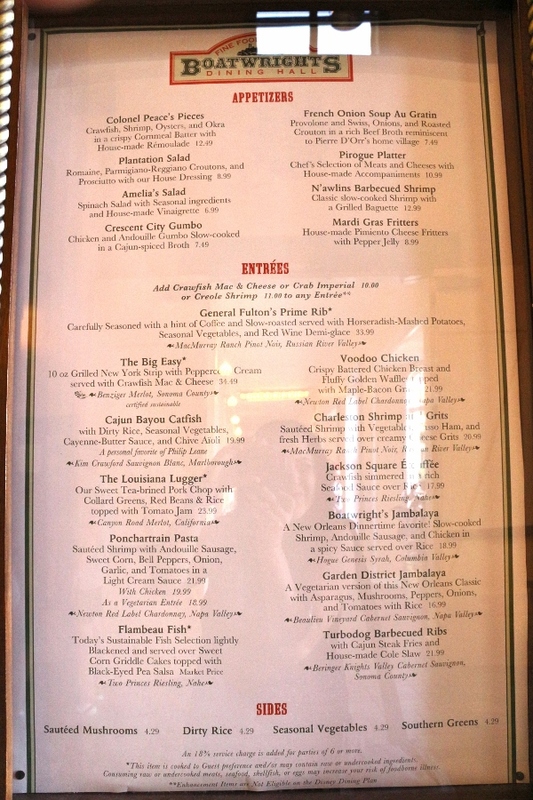 Louisiana's most prominent Creole and Cajun dishes are featured on the menu, along with some other Southern-inspired favorites. 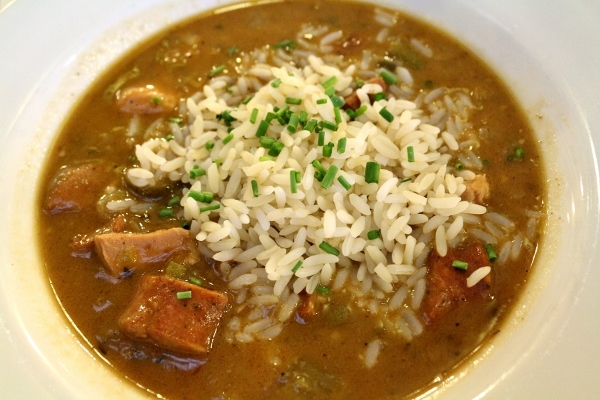 Dishes like jambalaya, gumbo, and étouffée are just a few of these dishes. Let's take a closer look. First and foremost, drinks! After reviewing the drink menu, there were lots of delicious-sounding options, but one of them really stood out as a super refreshing choice at the end of what turned out to be an exceptionally hot day. Really, it felt like an inferno. We actually had to leave the park far earlier than planned and go submerge ourselves in the resort pool instead. It's a tough life. Anyway, back to that drink! 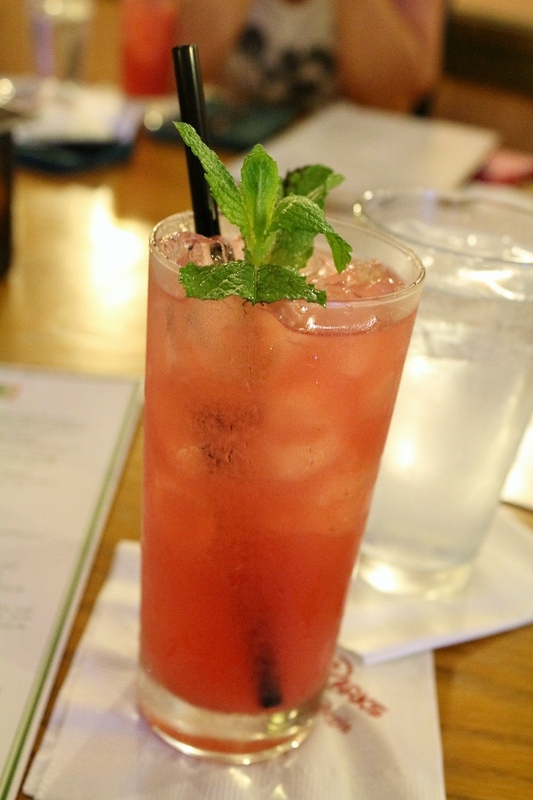 The Raspberry-Ginger Mojito is a blend of Finlandia raspberry vodka, ginger, mint, raspberry puree, fresh lime juice, and coconut water. Between the mint and lime, mojitos by nature are refreshing drinks. This particular one is really a pseudo-mojito because its alcohol base is vodka as opposed to the traditional rum. Regardless, it was a fantastic cocktail to start this meal and I'd happily order it again. PS this drink is actually on the standard Disney Bar and Lounge menu available throughout Walt Disney World, not just specific to this restaurant, so you should be able to find it elsewhere too! 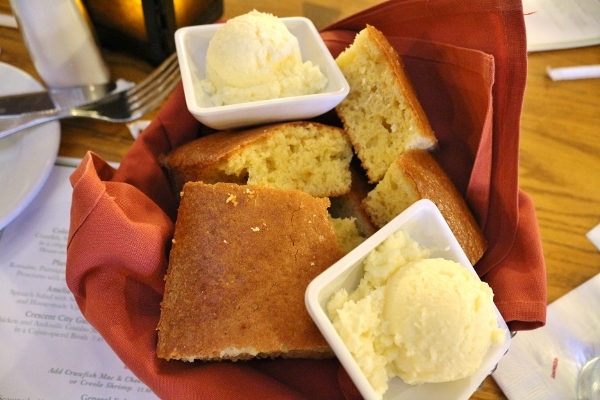 Soon after, a basket of sweet, crumbly cornbread with giant scoops of soft, spreadable butter was delivered to our table. Oh yes. Seriously, two of my favorite indulgent things combined. The cornbread at Boatwright's fits the bill and ties in well with the rest of the menu. I absolutely had to begin my meal with some of the Crescent City Gumbo, which features chicken and andouille sausage slow-cooked in a Cajun-spiced broth and served with rice. This 6-ounce portion should be offered in a 20-ounce portion because it's quite frankly one of the best things ever. I'm not from "N'Oleans" so I'm certainly no expert on the art of gumbo, but my mouth says that this gumbo is excellent and not to be missed. It's somewhat spicy, and just so well seasoned and fantastic. I just can't say enough. Order it. Onto the entrees. My sister and I actually went halfsies on our entrees, but I also partook in some of my dining companions meals as well (it's good being a food blogger). Let me begin with what I thought was the most disappointing item, the Voodoo Chicken. This is Boatwright's take on chicken and waffles, one of the best, most unexpected food combinations of all time. This dish was fine, but nothing to write home about. 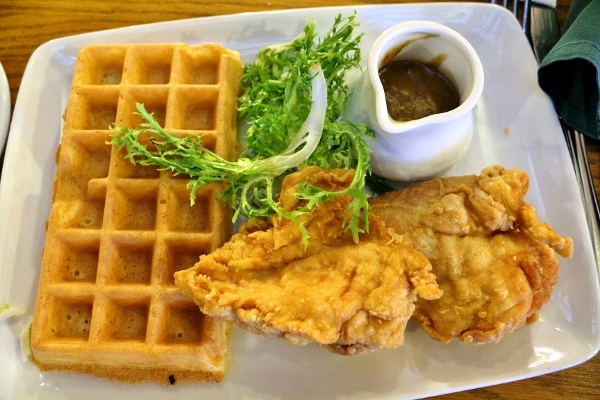 It features a thick maple-bacon gravy on the side which you use to dress your chicken and waffles. The gravy was fine but maybe a tad too thick to make it easy to pour. I really prefer something more in the maple syrup family for my chicken and waffles. Again, just mediocre. It's not bad, but I've had way better chicken and waffles. 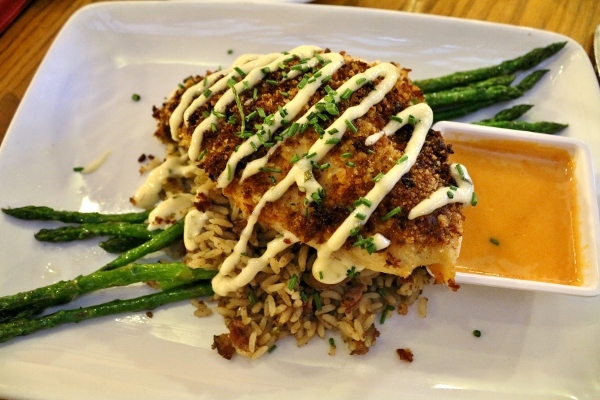 The other dish we shared was the Cajun Bayou Catfish, served with dirty rice, seasonal veggies, cayenne-butter sauce, and chive aioli. This was more flavorful than the chicken dish. I really loved the cayenne-butter sauce especially. It added a bit of spice without overwhelming the delicate fish. Another Southern favorite, dirty rice, is a wonderful accompaniment, as is the fresh asparagus. I'd happily recommend this dish. 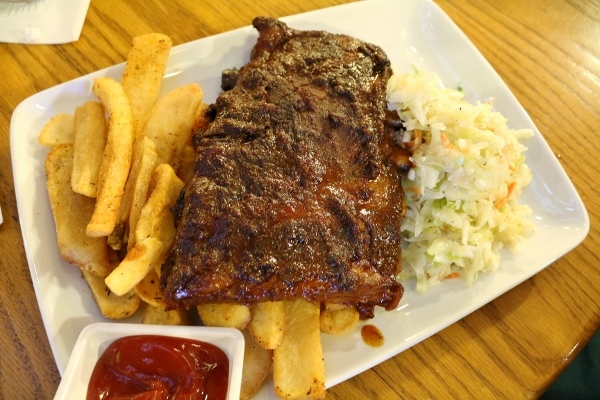 One of my dining companions who considers himself to be a rib aficionado was very impressed by the Turbodog Barbecued Ribs, served with Cajun steak fries and homemade coleslaw. I tasted a small bite and thought it was perfectly tender and very flavorful. Although this isn't a smokehouse, if you're craving barbecue, these ribs are a solid choice. My favorite entree that I tried luckily belonged to a friend who got full after eating only half of it, so she gave me the rest :) I couldn't finish it after already eating most of my two entree halves, but I just couldn't stop eating it! It was so good! 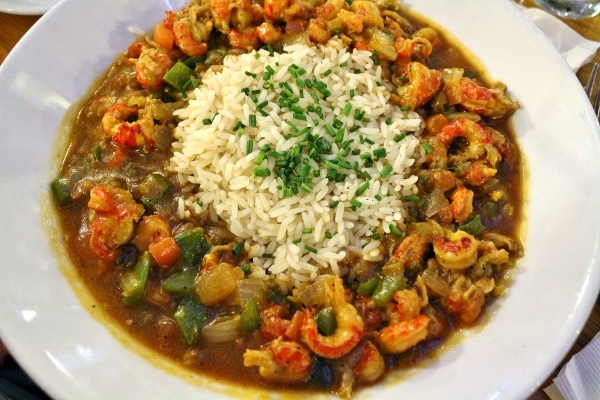 The entree I speak of is the Jackson Square Étouffée. Using a popular Cajun technique known as "smothering" this dish uses crawfish as its base and boasts and incredibly delicious and spicy flavor profile. Like the gumbo, this too is served with rice. It is a massive portion with a healthy amount of heat, but not so much that a spice lover couldn't handle it. I've had WAY spicier food, but if you're sensitive to spice, this dish isn't for you. Finally, with our meal complete, our server brought over a small birthday treat for my nephew and his friend, who were both celebrating birthdays on our trip. They each got a small plastic glowing Buzz Lightyear clipped to Mardi Gras beads and a balloon. 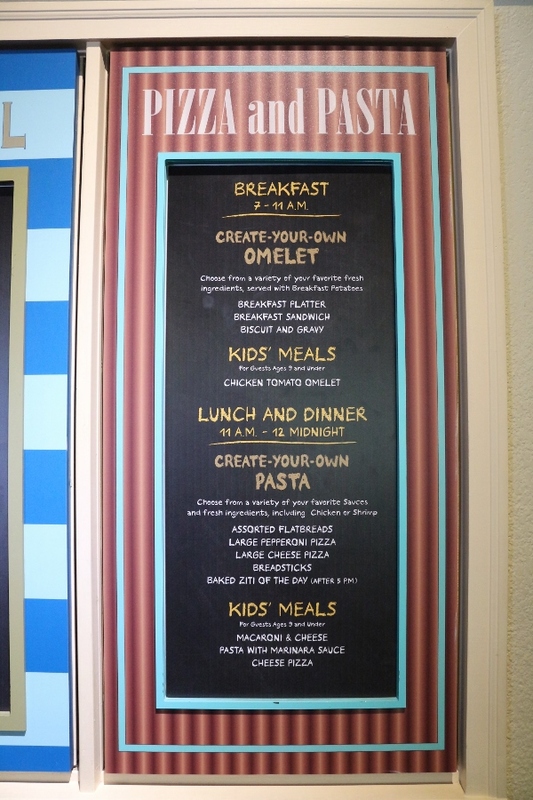 This was such a fun birthday treat for a child that still tied in the theming of the resort. During our stay at Port Orleans, we also visited the two quick service options for breakfast: Riverside Mill Food Court at Port Orleans Riverside, and Sassagoula Floatworks and Food Factory at Port Orleans French Quarter. 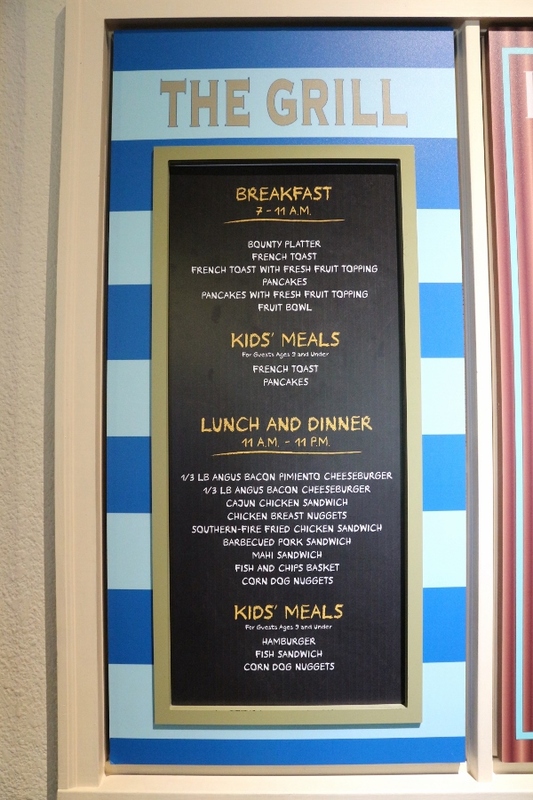 Both of them are cafeteria style in the sense that there are different food stations where you can order certain items and then you pay for your selections and find a table. Many of the menu options are the same at both locations, but there are a few differences. Apparently the Bounty Platter differs slightly depending on the station at which its ordered. If you order a Bounty Platter at the Salads & Sandwiches station, you get a Mickey Waffle. If you order at The Grill, it comes with either French toast or a pancake. 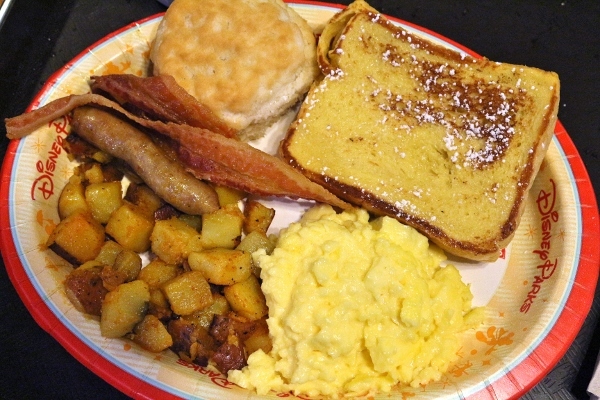 In addition to this sweet component, regardless of where you order, you get scrambled eggs, bacon, sausage, a biscuit, and home fries. I selected a Bounty Platter with French toast. It had a good variety of standard breakfast items packed with protein to start the day, but with a bit of decadence as well. The food here is fine, but nothing overtly special. 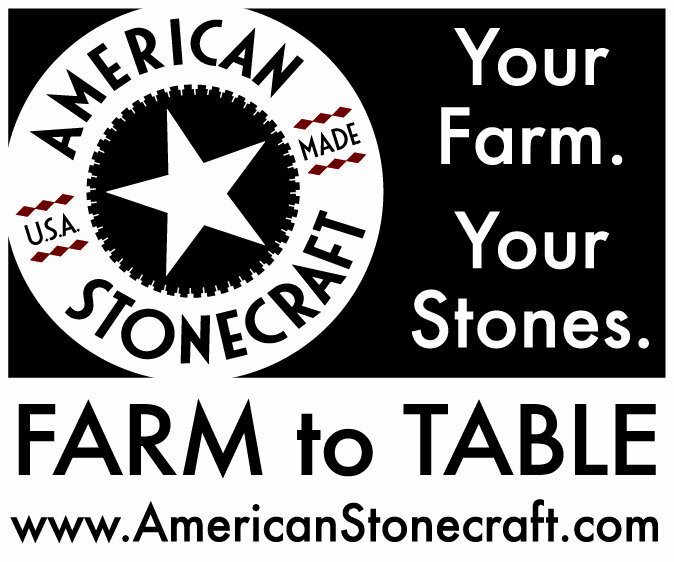 It's a convenient fix to your morning dining needs. They also serve lunch and dinner here, but I haven't tried it myself. 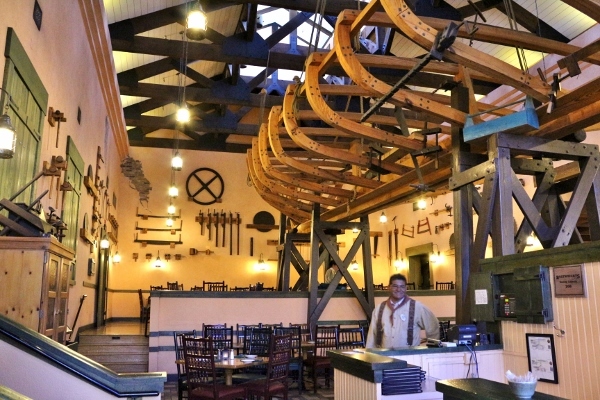 I actually prefer breakfast at Sassagoula Floatworks and Food Factory next door at Port Orleans French Quarter for one main reason: Beignets. 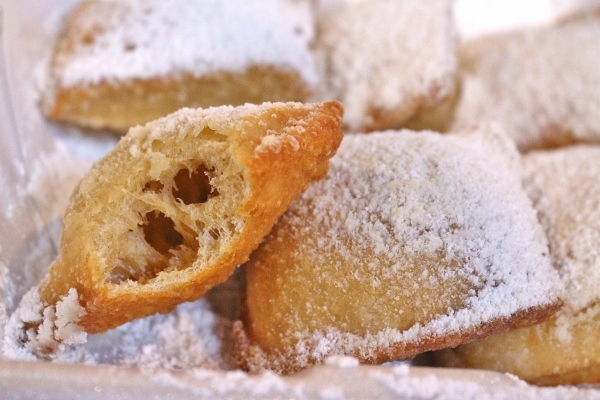 Although there are plenty of other food options here, the reason to come here is the beignets. 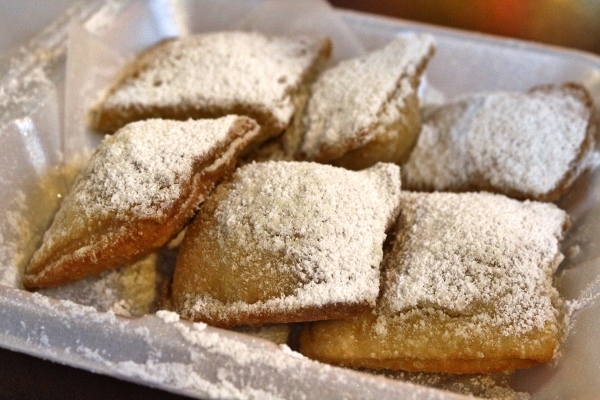 They are hot, puffy, and covered in sweet powdered sugar that just coats the roof of your mouth with molten sugar. With each bite of these crispy, chewy, fried morsels, you just feel a little closer to Heaven. Sorry, I just zoned out for a minute. I also tried one of the croissants here. It was simply okay, nothing special. My one complaint is that they don't have any real butter, but rather only margarine and a vegetable oil spread. 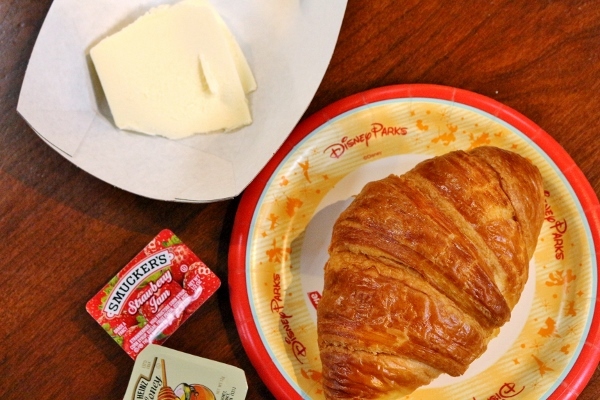 I asked a cast member if they had any real butter I could use on my croissant (because we all know there just isn't enough butter in there already), and he offered to go into the kitchen and get some. He returned with a huge slab of butter (he knows my secret shame!). But alas, I didn't use all the butter, just a small bit along with some honey (available with the condiments). I felt like it was a waste for them to give me all that butter (and I almost wanted to eat it all just to prove a point), but I do appreciate that they were able to accommodate my food snobbery and desire for real butter. Anyway, if you're staying at Port Orleans, you really have no excuse not to stop by at least once to try the beignets. They even have gluten-free ones, although I can't comment on their quality. 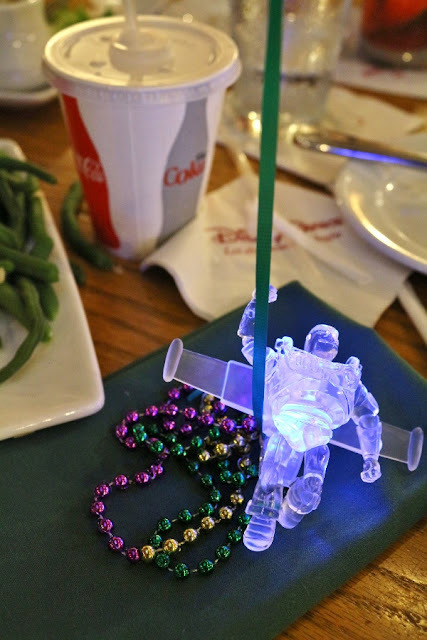 They're found only at Sassagoula Floatworks at Port Orleans French Quarter, but that's a short walk from Riverside, and really, you want to start burning off calories in advance. Trust me on this. 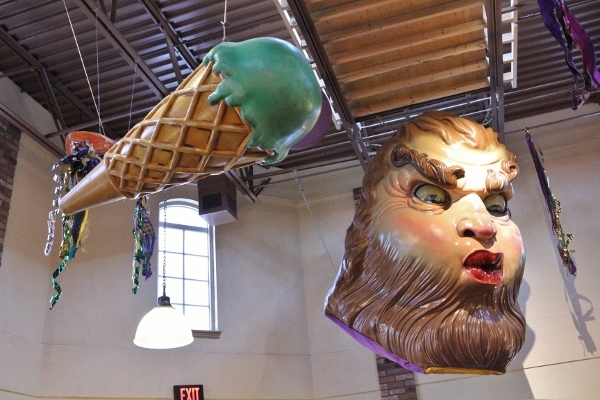 The decor at Sassagoula (named after the river that flows by the two resorts) includes fake floats (many creepy) that are reminiscent of what I imagine Mardi Gras would be like. I've never actually been. Sad face. See what I mean? Creepy. 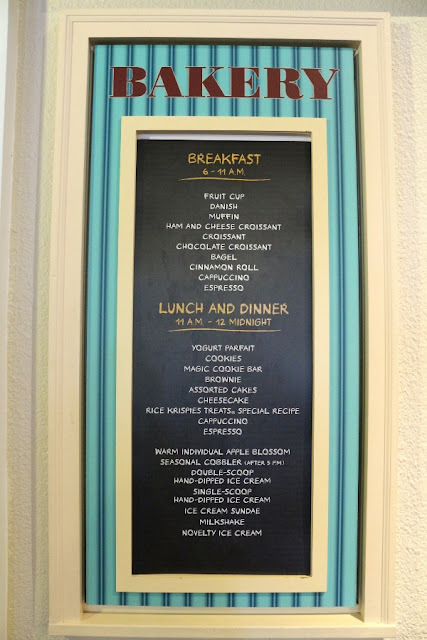 All in all, Port Orleans has some solid options for food. 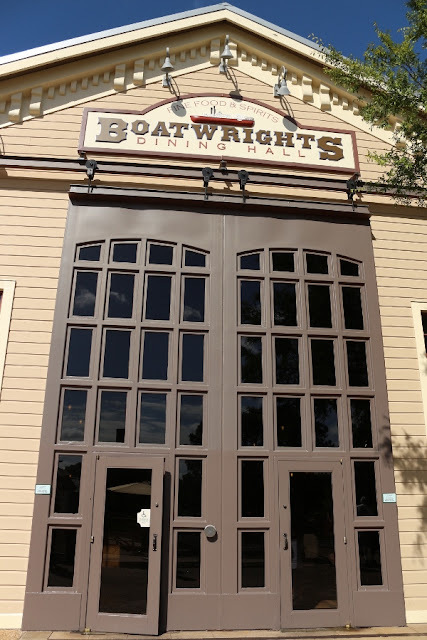 I really with Boatwright's offered more than just dinner (years ago they used to also have breakfast and possibly lunch), but otherwise, it's definitely one of my favorite dining spots at Disney, and it's more reasonably priced than some of my other favorites so that's a win in my book! Also, beignets. 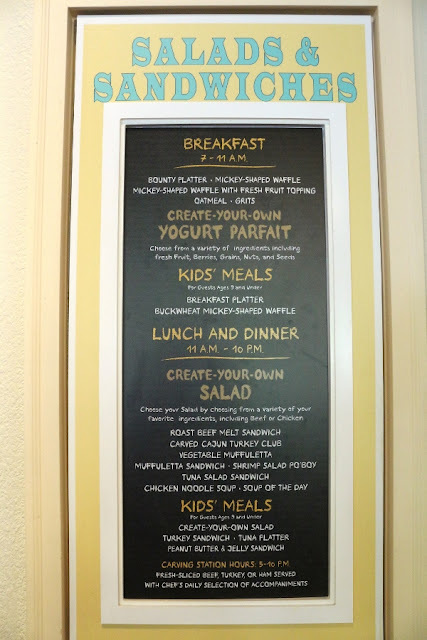 Definitely don't discount Port Orleans when making your dining plans at Disney. It's worth a visit. Maybe two. Steamed Pearl Balls for National Dumpling Day!